We specialise in SBS Dual Carbon and Race Sinter brake pads! In stock, next day delivery. OE standard Oil Filters for Aprilia sports bikes made by HIFLO FILTRO. OE standard Oil Filters for BMW sports bikes made by HIFLO FILTRO. OE standard Oil Filters for Ducati sports bikes made by HIFLO FILTRO. OE standard Oil Filters for Honda sports bikes made by HIFLO FILTRO. 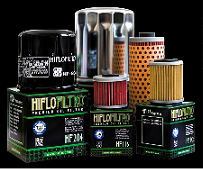 OE standard Oil Filters for Kawasaki sports bikes made by HIFLO FILTRO. 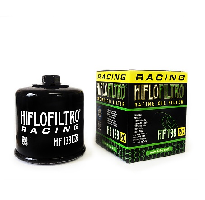 OE standard Oil Filters for Suzuki sports bikes made by HIFLO FILTRO. OE standard Oil Filters for Triumph sports bikes made by HIFLO FILTRO.